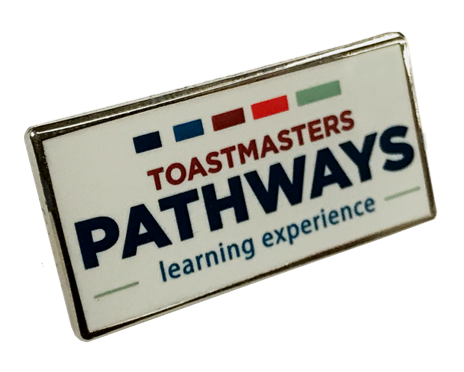 To celebrate the launch of the Pathways learning experience in District 91, we have created a special membership building challenge to show that with Pathways all paths to become a confident speaker and more capable leader; now leads to Toastmasters and to your superb clubs! 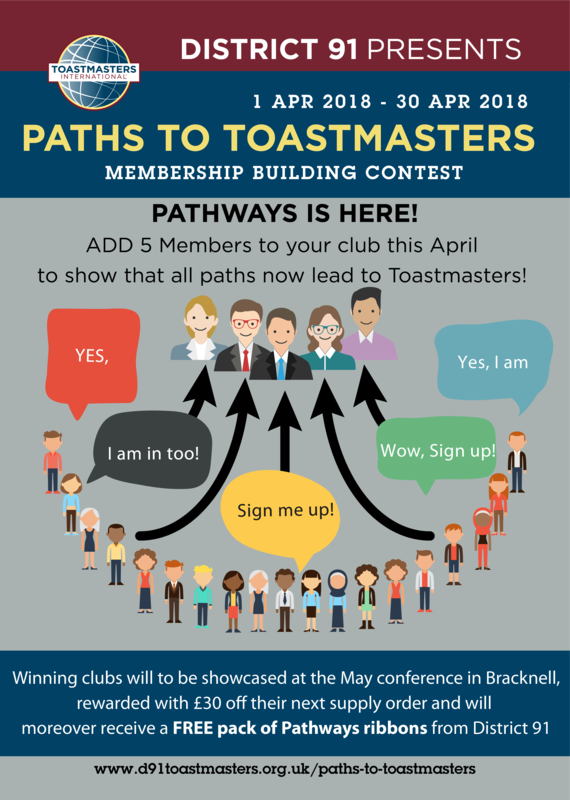 Clubs adding 5 members during April will receive the ‘Paths to Toastmasters’ award from the District, be showcased at the May Spring Conference in Bracknell and will be able to claim £30 off their supply order. Additionally, we will send a FREE pack of Pathways ribbons to any club that gets the award too! The conference date is fast approaching and thanks to all those who have booked to date and we look forward to many more such bookings in the next 10 days as we really wouldn’t like you to miss the EARLY BIRD prices. Your D91 Spring Conference Team has been working non-stop to bring you the greatest conference experience and a fantastic social weekend. We’ve set We believe that events like this are an opportunity for ALL Toastmasters to grow. Additional to our workshop speakers this year, we will be honoured to have Dan Rex, the CEO of Toastmasters International as our key note speaker. The long-awaited moment has arrived and we are now ready to reveal what each workshop will include. Of course the big news this month is that Pathways is now live in our District! Thanks to the great work of our Pathways Guides and Ambassadors, and all the clubs who have hosted their visits, District 91 has exceeded its targets to ensure the roll-out went ahead on time. This is the beginning, not the end. Your Pathways Guides and Ambassadors will continue to support your clubs for several more months, so if you have any questions speak to your VP Education who will have access to that support for your club. Posted on 20th March 2018 by Nigel Oseland in Pathways, Updates & Posts | Comments Off on Pathways has Arrived! The target for club visits by our Pathways Guides was exceeded, therefore Pathways will be rolled out across District 91 today. A huge thanks to all our Pathways Guides and Ambassadors, and to all the clubs, for the fantastic effort in getting those visits completed. 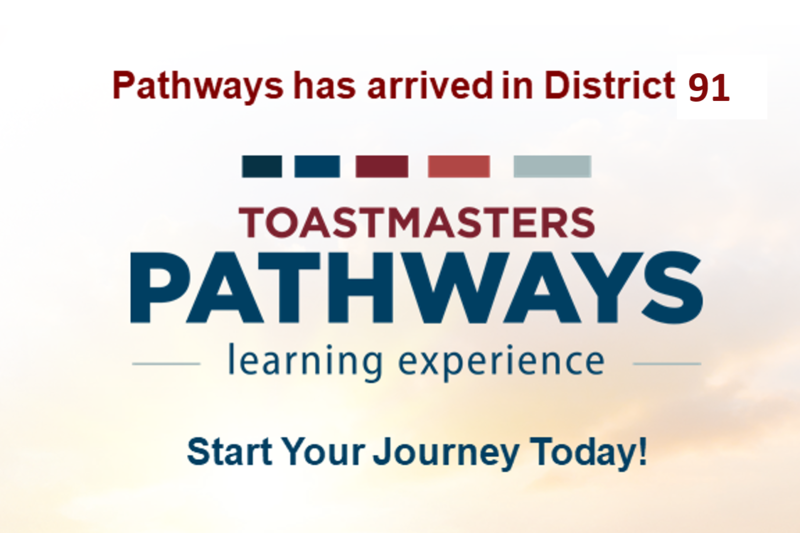 Every member will receive an email from Toastmasters International at 8pm today, announcing that Pathways is live and including details of how to get started. 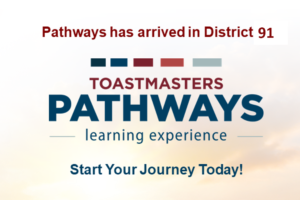 For those who are super eager, Pathways will actually be live from 2pm and you can access it here once you have logged on to Toastmasters Central. Members are encouraged to take the assessment and select their first Learning Path straight away, although not required. It will be beneficial to have a number of current members familiar with Pathways so that they can support new members who will only have access to Pathways and not the old programme.